Error saving report The remote server returned an error: (502) Bad Gateway. A 502 Bad Gateway error means that IIS is dropping the connection to IdentityPanel.exe. This can be caused by issues with your .NET Core installation, and can also be caused by IIS configuration problems. If the failing request is a very large report, the problem may be a timeout. 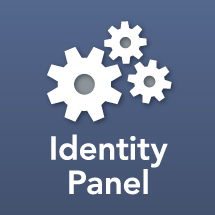 By default Identity Panel requests time out after 20 minutes. This value is configured in C:\Program Files\SoftwareIDM\IdentityPanelWeb\Web\web.config and may be adjusted there.